To publicise a new product, they had to adopt new marketing strategies. 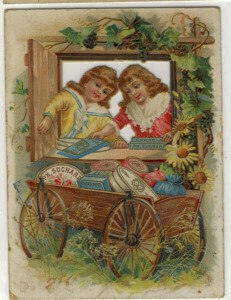 At the time, it was fashionable among merchants to advertise with cards illustrated with lithographs of popular subjects. 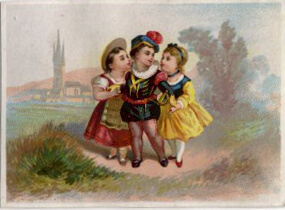 Around 1870, the Liebig company started to give away sets of picture cards with each package of meat extract. 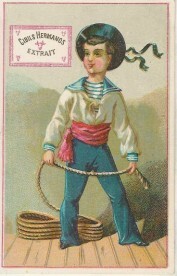 The cards were quite popular in Germany, France, Italy, Belgium, and England, but there were also Russian, Hungarian, Swedish, or Bohemian editions. 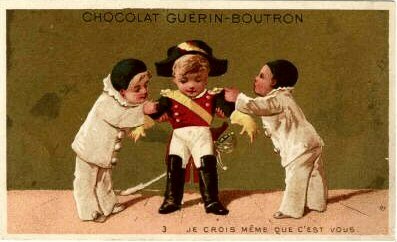 When the Liebig company stopped producing trading cards in 1975, thousands of card sets had been issued. Their high quality of printing and design had made them collectors items already from the very beginning. 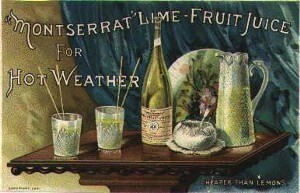 Trade cards were handed out as advertising souvenirs at all of the major stores and products. 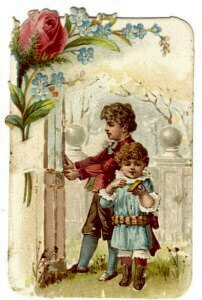 Trade cards were also handed out by merchants or left on sales counters free for taking. Many sets of cards are, in effect, mini-encyclopaedias covering a multitude of themes. Some are interesting from an informational standpoint whilst others are simple attractive to look at. To someone with a strong collecting streak the sets offer neatly packaged (and, quite importantly, achievable) targets to obtain which themselves can be developed into one or more thematic collections. Moreover, Cartophily is a well-established and reasonably documented hobby. 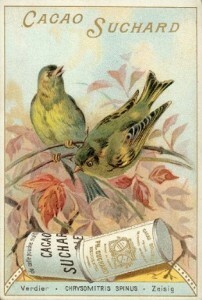 Cards such as these were used to advertise a business. On the back side of this card is a list of products offered by the business being advertised here. Collecting cards played an important educational role in the pre-television society.